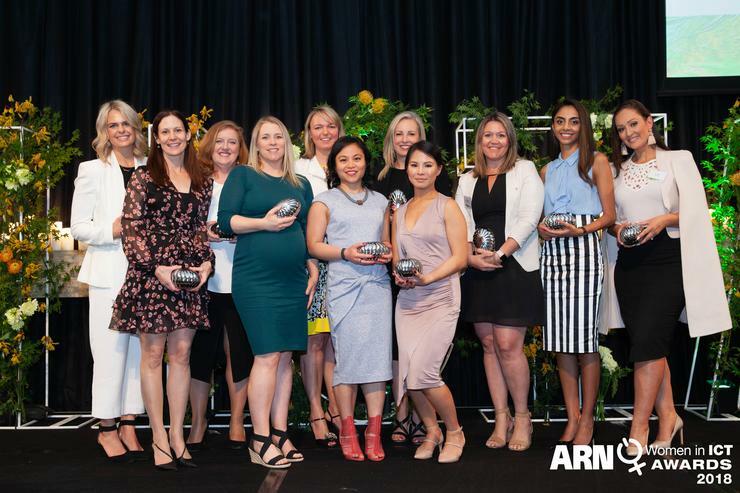 ARN is proud to announce the winners of the 2018 ARN Women in ICT Awards (WIICTA), playing host to the leading female front runners across the channel. Unveiled during a jam-packed ceremony at Ivy Ballroom in Sydney, more than 70 individuals made the final shortlist in 2018, representing more than 50 organisations in the most competitive line-up in the history of the awards. Due to a record number of submissions - totalling more than 220 - this year saw an expansion to include four new awards, in recognition of the quality of nominations. As a result, both Rising Star and Shining Star categories were split up to cover Partner; Vendor and Distributor awards, highlighting the depth of emerging and established talent in the Australian market. Overall, WIICTA honoured the channel across seven categories, spanning Achievement; Entrepreneur; Innovation; Technical; Community; Rising Star and Shining Star. In response to a wealth of standout submissions, three categories exceeded the traditional six finalist limit, with Shining Star (Partner); Shining Star (Vendor) and Achievement shortlisting eight, 11 and 11 individuals respectively. Since launching in 2012, WIICTA has acknowledged the achievements of a talented group of female leaders and innovators, who have become influential figures across the local ICT industry. Within seven years, the awards has received more than 930 submissions, resulting in 319 finalists and 54 winners. Following an overwhelming response in 2018, finalist submissions were selected by a shortlist panel consisting of ARN president and publisher, Susan Searle; ARN editorial director James Henderson and ARN senior journalist Julia Talevski. The winners were selected by a selected panel of 36 industry judges, acknowledging creativity, innovation and excellence. ARN congratulates all winners and finalists and thanks all organisations and individuals for taking the time to submit nominations. The Community award recognises the candidate with exemplary service to the technology sector, through philanthropic initiatives and efforts to foster a positive working environment for women in ICT. The goodwill ambassador will be actively making a difference in the community, working towards the advancement of women in ICT, and going above and beyond to give back to the community. Heather wins this award for shining a spotlight on key social issues, such as mental health awareness and workplace diversity. Heather engineered a partnership with the Black Dog Institute at AWS Summit and vForum this year, alongside leading the A/NZ Diversity and Inclusion Council at VMware. Tracy wins this award for building a multimillion-dollar business from scratch, through the launch of FinXL IT Professional Services in 2003. Fast forward 15 years and the consultancy firm has more than 1000 consultants working on client engagements across Australia and New Zealand, with a revenue run rate of $250 million. Lisa wins this award for building an Australian-based artificial intelligence SaaS platform in OutThought. The solution took 12 months to create and passed rigorous government audits and regulations, with the goal of making ‘AI accessible to every organisation’. Elaiza wins this award in recognition of becoming a Microsoft Value Professional in Business Applications, the only female in Australasia. Elaiza has joined an exclusive group of 169 MVPs in Business Applications globally, of which 20 MVPs are based in Australia and New Zealand.